Here are the top 30 religions books for 6 year olds. Please click Read Review to read book reviews on Amazon. You can also click Find in Library to check book availability at your local library. If the default library is not correct, please follow Change Local Library to reset it. What child does not love to receive mail? What if that child could receive, open and read his or her own personal mail from God? The Little Love Letters from God board book will invite them to do just that! Accompanying each of the eight rhyming stories in this unique children’s Bible is a very special and encouraging letter tucked away in its own lift-the-flap envelope. 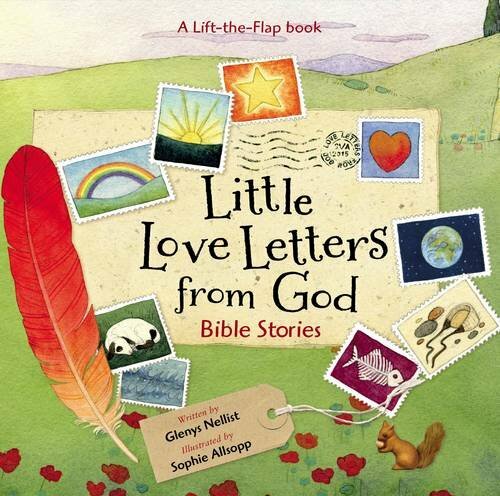 With a padded cover for little hands, Little Love Letters from God introduces children to God’s Word with eight of the most popular Bible stories–including creation, Noah’s ark, the birth of Jesus and more. Following each story the child will find his or her own letter from God. Children will love the excitement of opening the letters and parents will love how each letter elaborates on the Bible story being told. A very special Bible verse, entitled God’s Wonderful Words To You will accompany each story and letter. Much more than a mere memory verse, each carefully chosen promise will be God’s very own personal words of love, encouragement, and hope. Little Love Letters from God is the second book in the popular Love Letters series. 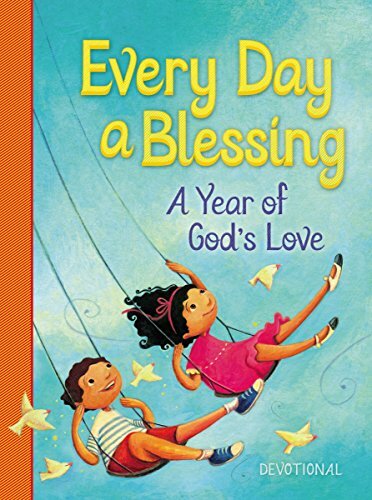 Featuring the charming Little Blessings characters by Elena Kucharik, What Is God Like? 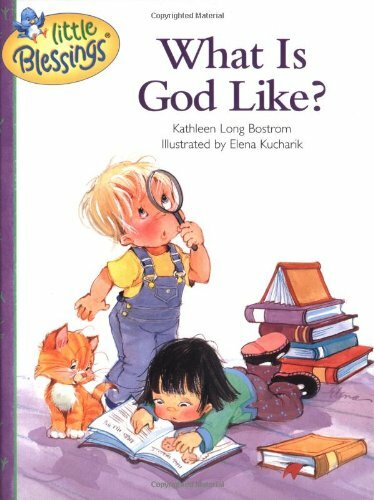 uses questions asked by children ages 3 to 6 to answer fundamental questions about who God is and what he is like. 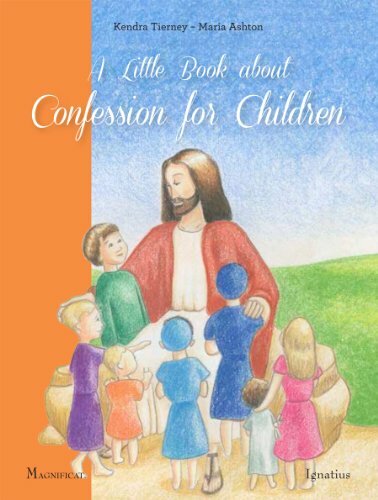 A Little Book about Confession for Children explains the hows and whys of going to Confession. It includes step-by-step instructions for preparing and receiving this beautiful sacrament of healing, which draws us into the infinite mercy of God. The book even provides an examination of conscience just for kids. Everything you and your child need to know about the Sacrament of Reconciliation (or Confession) can be found in this informative little book with charming four-color illustrations. Perfect for preparing to receive the Sacrament of Reconciliation for the first time, this little book is sure to be used over and over again. The unique song that is woven throughout the book will teach that Jesus is the Creator and Maker of all of us, and we need to make Him our Lord. 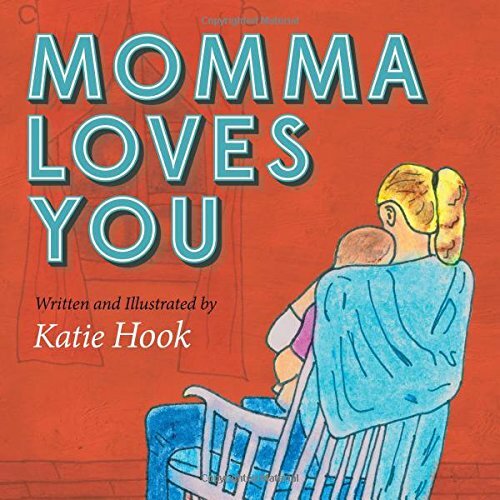 Writer and illustrator Katie Hook sang this song to her children for years. The truth of the gospel is simple yet powerful. After seeing the Lord use music and the Word to speak to her children, she has realized the need for empowering families to start early to pray with their children and to tell them about the saving grace of Jesus. Children need to know the gospel message at an early age and be able to tell others about Jesus. We are all called to share what Christ has done in our lives. The age of a child should not hinder him or her from truly serving the Lord. Momma Loves You is a compelling and sweet picture of the Savior’s love for us. Being honest with ourselves, others, and our Lord is very important. We are all sinners, and we need a Savior. Jesus not only wants us to train up our children in the ways of the Lord (Proverbs 22:6), He also wants us all to make Him the Lord of our lives! 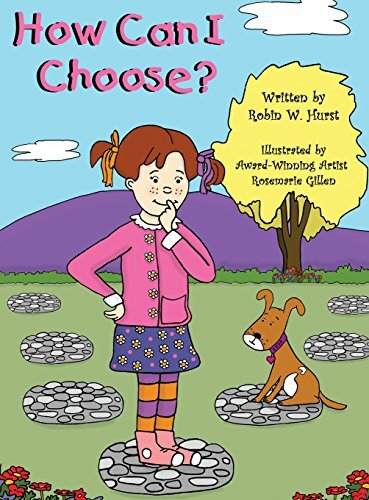 Here are twelve stories about caring, sharing, loving, and growing, written with humor and hilarity and intended to teach important lessons to children (and their parents) about obedience, kindness, fairness and other godly virtues. 6. How Can I Choose? 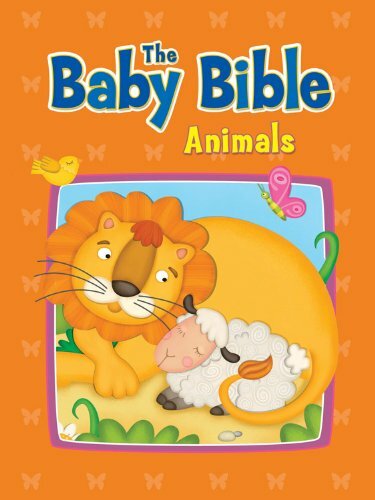 Looking for a way to integrate the Bible into your child’s playtime? 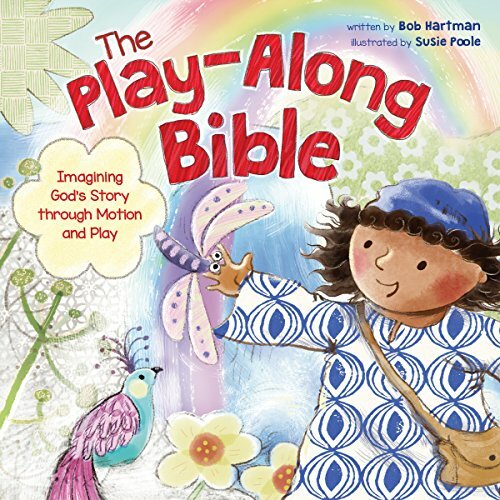 The Play-Along Bible inspires children’s imaginations while growing their understanding of and love for God’s Word. Through simple hand motions, facial expressions, verbal exclamations, and funny noises, kids can participate and respond to God’s amazing story. Whether it’s acting out the dawn of creation by making a funny fish face or belting out a giant roar while pretending to be a ferocious beast in Daniel’s lions’ den, kids will encounter hundreds of fun ways to actively engage with the Bible. Using this fresh and easy, multisensory approach, you’ll be surprised how well your child will recall and absorb the Scriptures. Adding to the experience are delightful full-color illustrations from British artist Susie Poole. Bring the Bible to life each week of the year! This unique 52-week devotional is packed with value and includes interactivity kids will love. A Bible story is at the center of each weekly devotion, and a two-to-four minute video is available by scanning a QR code. Plus, a free downloadable app lets kids experience a digital “pop-up” (using Augmented Reality) of each Bible story along with narration by Jenna Lucado Bishop. The Big Picture Interactive Bible Story Devotional is the perfect way to bring the Bible to life in a kid’s heart! 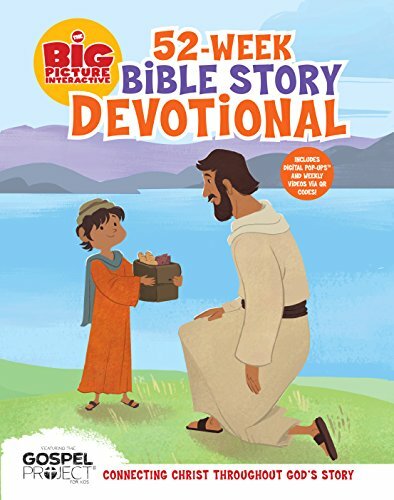 Don’t miss any of the products in the Big Picture brand, which includes The Big Picture Interactive Bible Storybook, The Big Picture Interactive Bible, The Big Picture Interactive Bible Stories in 5 Minutes, The Gospel Story, and The Big Picture Interactive Bible Stories for Toddlers. These delightful new additions to the Little Blessings line help young children understand two more basic truths about God and Jesus. Why Is There a Cross? tackles the difficult subject of Christ’s death. This read-to-me book for children ages 3–6 explains both the how and the why of Christ’s death in simple words and pictures that communicate the wonder of his sacrifice. Is God Always with Me? 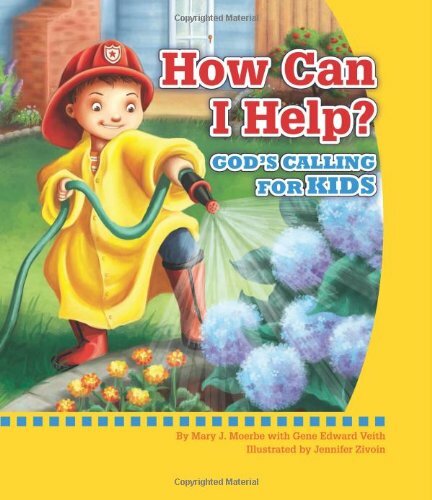 introduces children ages 3–6 to the idea that God is a part of their everyday lives. 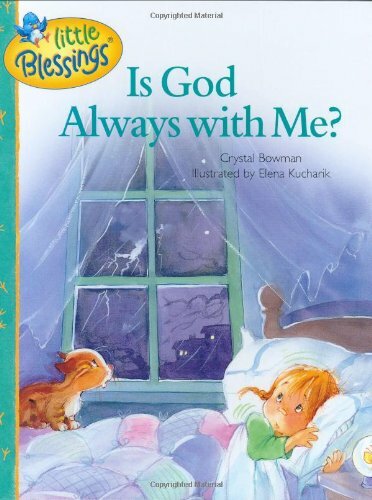 This read-to-me book with beautiful illustrations and pleasant rhyming verses conveys the comforting truth that God is with us wherever we go, no matter what. Life is not easy for twelve-year-old Diego Escobár. It was wonderful raising Aloha from puppyhood to eighteen months, but now he must return her to the guide dog school for her formal training. Diego always knew that Aloha was on loan to him, but letting her go is proving to be the hardest challenge of his young life. 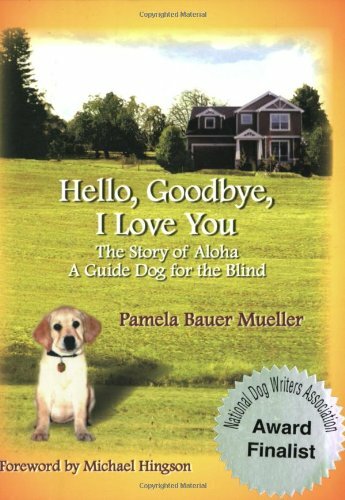 In this tender, inspirational tale, based on the true-life story of Aloha, Diego discovers that the sweet and sad in life are often interwoven. The unconditional love and trust between Aloha and Diego will enable her to become the dog she was bred to be. In giving her up, Diego gains unexpected rewards. [i]Jesus from A to Z[/i] allows readers to share the stories of Jesus’ extraordinary life with the children in their lives. [i]Jesus from A to Z[/i] is a simple book of stunningly beautiful illustrations and concise, touching stories. It is a book that reaches beyond the ordinary in its beauty and scope to touch book lovers of all ages.The book shares the stories of Jesus’ remarkable life and presents a genuine sense and feel of Jesus — the man, who in the 2,000 years since he walked the Earth, has left a mark on our planet like no other. 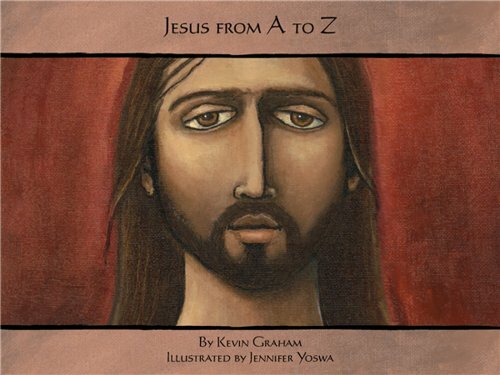 [i]Jesus from A to Z[/i] is on one hand, a basic alphabet book, yet, is also an important work that gives children a faithful introduction to Jesus Christ, the kind and humble Son of God.In this book, author Kevin Graham and illustrator Jennifer Yoswa bring a signature grace and artistry to the timeless wonders of the remarkable life of Jesus, enabling adults to share those wonders with young readers.A picture book for children between 5-10 years old. 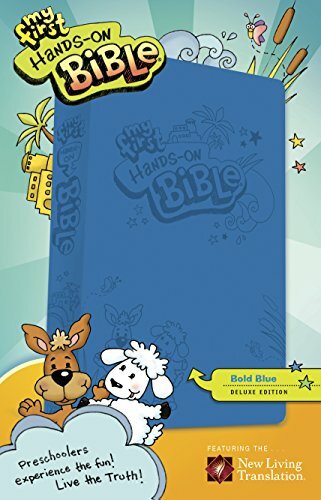 This Bold Blue deluxe edition of My First Hands-On Bible is the preschooler version of the popular Hands-On Bible, which has sold nearly one million copies. Jesus taught with hands-on lessons and illustrations; My First Hands-On Bible uses the same experience-based learning to communicate God’s Word in an active, understandable way. My First Hands-On Bible is a fun and simple, yet meaningful way to engage preschool, prekindergarten, and kindergarten children (ages 3–6) with the Bible while helping them build a solid faith foundation. Each lesson focuses on a specific Bible point through a variety of activities in order to reinforce and help young children remember the stories and lessons. Using common household items, you can help your children have a “hands-on” learning experience while engaging them in 85 key stories from the Bible. My First Hands-On Bible doesn’t just retell the Bible stories; it also includes actual Scripture from the easy-to-understand and easy-to-read Holy Bible, New Living Translation. In addition to the stories and activities, there are fun illustrations, prayers, and a special Jesus Connection feature. 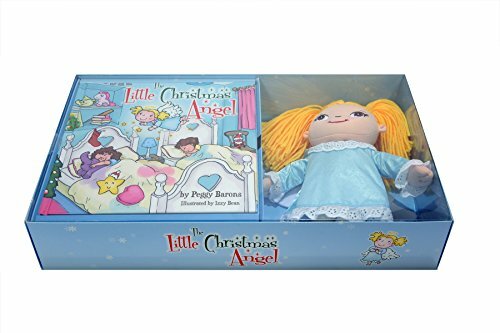 This boxed gift set contains one hardcover color illustrated children’s book, with beautifully designed Christmas Angel doll. 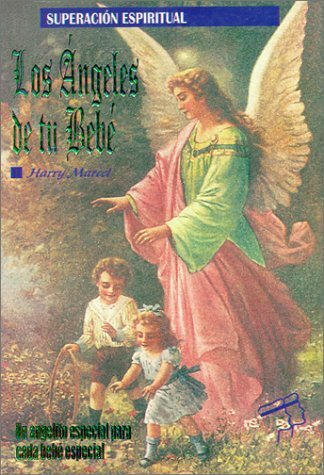 The story begins in ancient Bethlehem, but quickly moves into modern times taking the reader on a lively journey with a little angel, right into their own home. Oh no! It’s Christmas Eve in Bethlehem, but the Little Christmas Angel is too small to make it to the stable to greet Baby Jesus. She must figure out what to do instead to spread the good news. Find out what she does to share God’s message that “All Children are Good;” first in Bethlehem, and then in your house too, filling up every room with Christmas spirit. She only travels at night, while everyone is asleep, and you never know where you’ll find her the next morning! She keeps the whole family happy and involved in all the days leading up to Christmas. In 1912, a well-known doctor and writer named Janusz Korczak designed an extraordinary orphanage for Jewish children in Warsaw, Poland. Believing that children were capable of governing themselves, he encouraged the orphans to elect a parliament, run a court, and put out their own weekly newspaper. 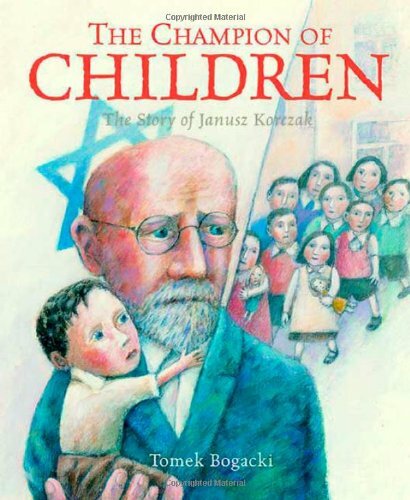 Even when Korczak was forced to move the orphanage into the Warsaw Ghetto after Hitler’s rise to power, and couldn’t afford to buy food and medicine for his charges, he never lost sight of his ideals. Fully committed to giving his children as much love as possible during a terrifying time, Korczak refused to abandon them. In his most beautiful and heartfelt book to date, with evocative acrylic illustrations and spare, poignant prose, Tomek Bogacki tells the story of a courageous man who, during one of the grimmest moments in world history, dedicated his life’s work? and ultimately his life itself?to children. God sends people to help in little ways and big ways. He calls all of us to love and to serve others, to help however we can no matter how old or young we are. Christians have multiple vocations: at work, in church, as citizens in society, or as family members. A child’s call to love and serve is the same as an adult’s. 18. Mama, Who Is Jesus? 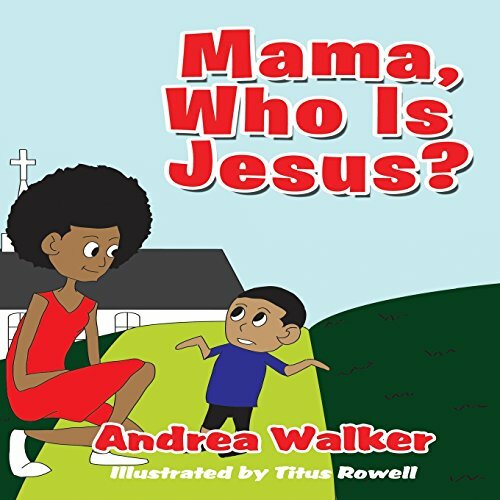 The author does a great job with the inquisitive minds of youth who seeks to know who Jesus is. This is truly a delightful story to share with your little ones when trying to explain about Jesus. 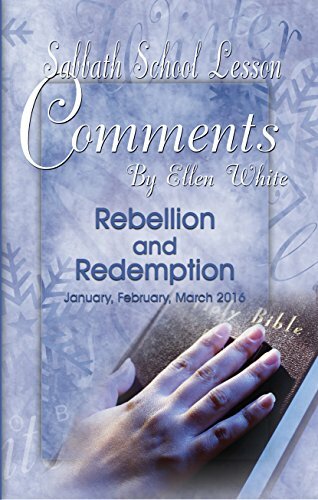 Comments is an insightful compilation of daily readings by Ellen White. It is formatted as a companion to the Adult Sabbath School Bible Study quarterly. Additionally, it is a powerful enhancement for your own personal study or as a daily devotional. Comments is an invaluable tool for Sabbath School teachers as it includes additional material not found in the Sabbath School Lesson quarterly. Each 96-page eBook contains one full-page of reading for each day—no fillers or advertising—additional references for further study, and much. You will be richly blessed by the Comments the Lord has given us through His servant, Ellen G. White. In a divided world, where the one who shouts the loudest often gets the most attention, a story about compromise and listening. The townspeople have mezuzahs but cannot agree on how to put them up on their doorways. Should they place them horizontally or vertically, standing up or lying down? To end their arguing, they consult the wise rabbi of the town, who advises them to carefully read the Shema in the mezuzah to find the answer. 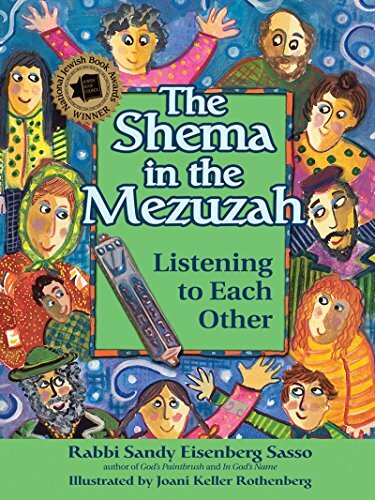 With this lively tale, based on a twelfth-century rabbinic debate, best-selling, award-winning children’s author Sandy Eisenberg Sasso helps young people discover that there is often more than one solution to a problem, and that living together and creating “home” requires cooperation and listening to one another. Are you ready to be a brave girl? 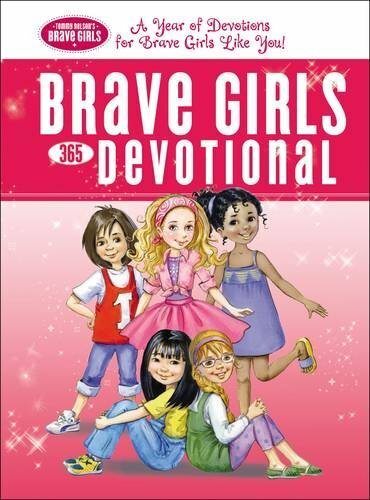 Join Hope, Glory, Faith, Honor, and Gracie as they discover that the closer they are to God, the more He makes ordinary girls like them strong and courageous! Learn with them how to be brave at school, at home, in sports, with friends—pretty much everywhere! Even when struggles are big . . . He is bigger. I always have the power to love others because God loved me first. I can talk to God about anything, whenever I need to! God loves me for who I am, even when I’m different from everyone else. God can use someone small like me to do big things with Him. Come along with these encouraging friends for the adventure of a lifetime—growing closer to God! When God makes the world, the first man and woman are amazed by the mountains and valleys, the sea and the stars, and the wonderful plants and animals with whom they share their home. But what is their task in life? 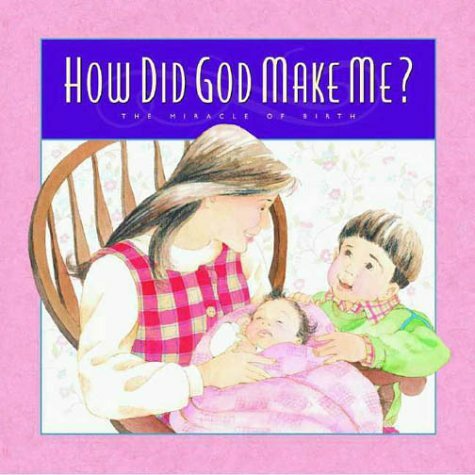 This book helps instill a sense of wonder and appreciation for the miraculous journey your child took — from conception to birth — with How Did God Make Me? 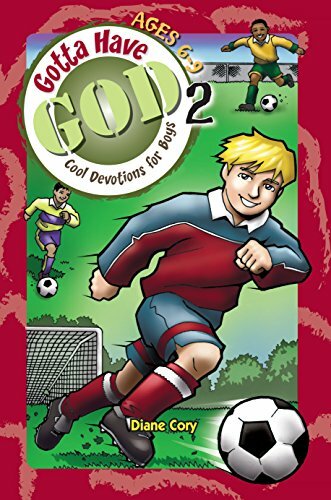 This fully-illustrated boys devotional from RoseKidz® helps boys ages 6-9 know how to rely on God as they learn more about the Bible and themselves. Volume 2 features over 100 devotions, Bible activities, challenging puzzles, mind-bending mazes, and more! Hey guys! You already know life can get tough-but you can tackle all life’s challenges when you let God build in your life. God is the best and greatest builder of all. He will build good things in your heart and mind and he will help you develop rock solid faith. As you read each boys devotion, you will find out about God and how to follow Him. Discover God’s blueprint for your life as you get raw answers to questions, such as: How can I trust God? What’s God’s plan for my life? How can I forgive others? And more! 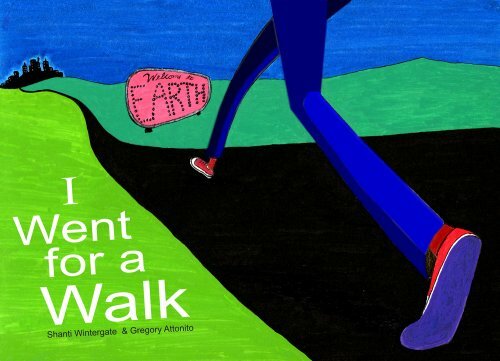 I Went For A Walk, and kept on going… Around the bend, outside the box and out of this world, this new children s book explodes off the page with the energy of a great rock song. Like a great song, it fills your heart with imagination and inspiration. Greg Attonito, singer for the punk band, The Bouncing Souls, has teamed up with his beautiful and multi-talented wife Shanti Wintergate to create this unique and evocative offering a chapter book for the precocious pre-schooler. Within the first few pages, you will travel the deserts and oceans of Earth before suddenly becoming airborne – flying above the Earth into an amazing landscape of space where,The view was more beautiful than I could imagine! You begin to realize that the place you live isn t all that s out there. Guided by Attonito s whimsical paintings, you ll visit worlds that make you feel suddenly very grand and then just as suddenly very tiny. There are gentle lessons of equality, beauty, tolerance and variety. A hungry tummy in search of a suitable meal is the motivator as you travel into the strange universe of leftover lasagna mold and to unimaginable planets where people dance, fly and live for the moment. The people of IZ don’t live on food, they live on moments which are abundantly good. Throughout the story, Shanti’s lyrical and smart play on words manages to carry a quirky rhyme and rhythm that makes the book fun to read. The illustrations burst with life and in fact, the creation of them was an adventure in itself. Greg illustrated this story while touring the world with the Bouncing Souls. With paint pens and sketchbook in hand, he managed to capture something special from almost every stop on his touring schedule. I Went for a Walk’s adventure theme truly fits the way the book was created. A beloved series presents an improved design and expanded content for children to engage with Jesus’ words for them in John 15:9-14. 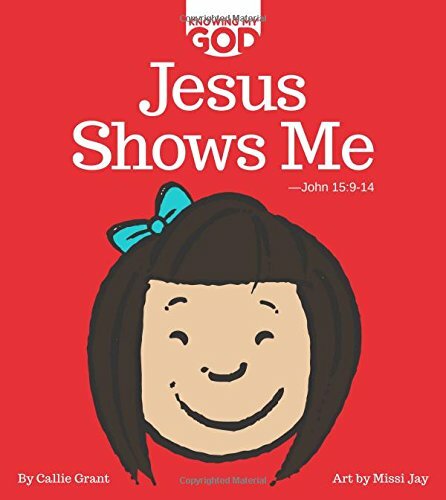 Jesus Shows Me, from the Knowing My God series, offers four levels of exploration: a quoted Bible passage, beautiful real-world photographs, supportive captions to relate the passage meaning to a child’s life, and thinking questions to personalize the experience. A parent guide gives tips for involving a baby, toddler, and child. In the Graham Blanchard book collection, Jesus Shows Me is a Learn book, which makes personal Bible study accessible to young children who, alongside adults, build a foundation for faith and a lifelong friendship with Jesus. These books grow with your child! Find out more about our Learn, Absorb & Praise™ books for children at GrahamBlanchard.com. This vibrant and colorful novelty book offers a unique tool for familiarizing children with the Jewish calendar. Covering all aspects of Jewish time, it introduces young readers ages 3 to 6 to night and day, the seven-day week, Shabbat, the Hebrew months, and special seasons and dates. 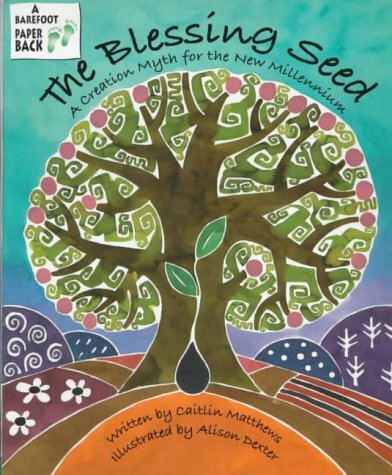 Young readers will have fun as they learn about Jewish time through interacting with the text. They can slide the sun down, pull the tab to ?light? Shabbat candles, turn a wheel to watch three stars come out, play with reflections in the flame of the Havdalah candle, rotate the phases of the moon to find the new month, match each season with its Hebrew and English name, lift the flaps to learn Hebrew dates, and much, much more. Simple, clearly written text introduces the basics of Jewish time. 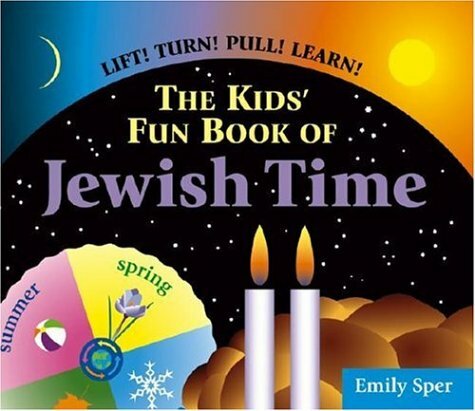 With this fun and engaging book, children will gain an understanding of the structure underlying Jewish holidays throughout the year. When children are asked what they would like more of in Sunday school the reply is almost unanimous…they want more snacks! 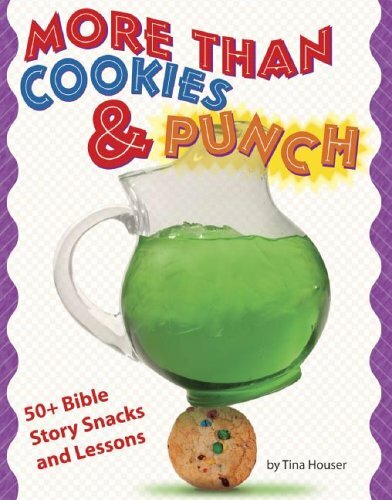 This creative book will help you turn snack time into teaching time with simple, easy-to-make recipes, Bible stories and discussion questions. For example, kids will enjoy making tasty treats like the Pizza Snake (pgs 12-13) while they learn about Adam and Eve in Genesis 2:8 3:24. 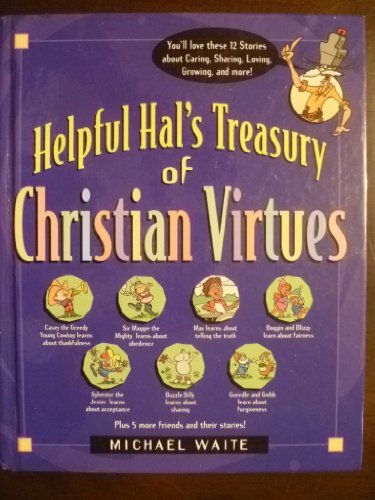 Whether you use this book as part of a Sunday school or home school lesson or as a guide for your family devotional time, kids will have fun, learn about the Bible and look forward to next week s snacktivity! Each activity includes: The Goodies-Ingredients List Gadgets & Gizmos-Utensils List The Main Thing-Bible Story Reference & Summary The Fun Stuff-Step-by-Step Snack Instructions Whatcha Think?-Questions for Discussion Full Color Picture of Completed Snack Also included are a detailed, helpful Bible Story Index and Scripture Index so you can quickly find snacks to make with any Bible story.